Happy 30th birthday Operation Claymore- BLOOD FOR THE BARON!!! 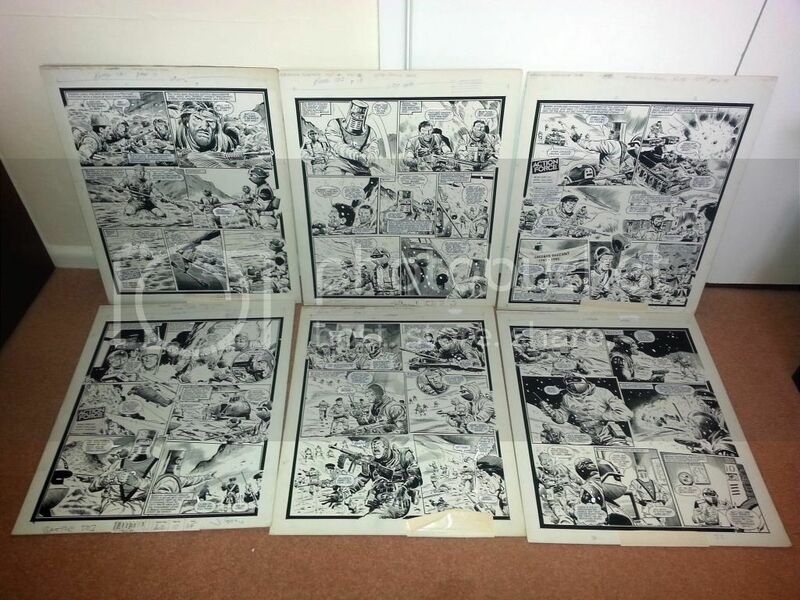 An e-mail over the weekend regarding my original BAF artwork made me dig the story boards out where I realised that the greatest Action Force story - Operation Claymore is celebrating its 30th birthday. John Cooper's artwork was just fantastic during this storyline. Top 5 all time greatest BAF stories, happy birthday. I remember racing to the shops to get these as they came out, and that finale...... WOW. I just wanted to share this Operation Claymore tribute piece which will be the subject of a limited edition lithograph (see my post in the 'other' forum). Art is by John Royle (Danger Girl / GI JOE) and inks by Eshwar with colours by Edgar Delgado.